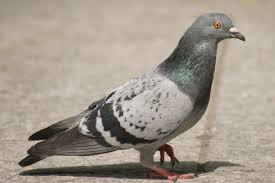 Indian police said Monday they have taken a pigeon into custody after it was found carrying a warning note to Prime Minister Narendra Modi near the nation’s heavily militarized border with Pakistan. “We took it into custody last evening,” Pathankot police inspector Rakesh Kumar told AFP by telephone. “The BSF found it with a note in Urdu saying something like ‘Modi, we’re not the same people from 1971. Now each and every child is ready to fight against India’,” Kumar said. The note was apparently signed by the Pakistan-based militant group Lashkar-e-Taiba (LeT) “so we are investigating the matter very seriously”, Kumar said.